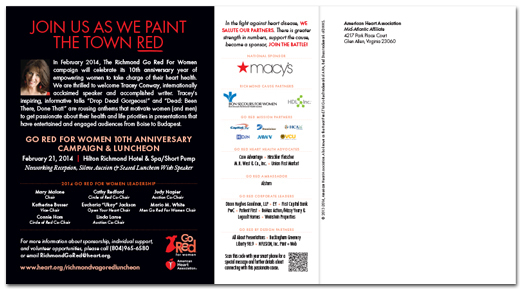 Here’s the latest campaign for the American Heart Association’s Richmond Go Red for Women event. 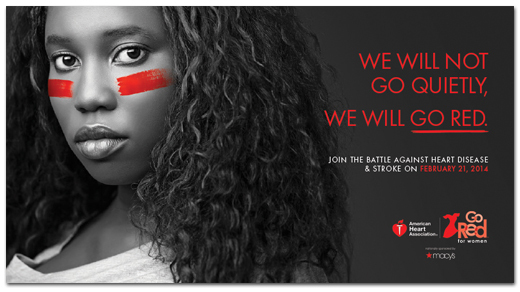 The Richmond Go Red For Women campaign will celebrate its 10th anniversary year of empowering women to take charge of their heart. We went with a bold theme this year including a powerful fight image with a striking statement. It’s a 11″ by 4″ postcard to help it stand out in the mail a bit better.